Robots, the blueprints for (nearly all) mobile chips and global ambitions. Japan and technology are often mentioned in the same breath. Bullet trains, robots, only-in-Japan phones that'll never leave the island, digital pop-idols and so on. Tech legends like Sony, Nintendo, Panasonic, Sharp, Nikon, Canon, Toyota and more were born here, but most have had mixed fortunes in recent decades. Some missed out on (or were too late to) the smartphone boom, or suffered from declining point-and-shoot-camera sales. Others simply faced stronger competition from Korean and Chinese companies. Smartphones, wearables and VR have generally come from elsewhere. Japan's reputation for getting the newest technology first doesn't ring very true these days -- in fact, those aforementioned tech giants have a reputation for being a risk-averse and slow to change. (Many, if not most companies still request that I fax over my RSVP for their press conferences and meetings. I kid you not.) Then there's Softbank. Softbank is now best known as one of Japan's top three phone carriers, but at a time when Japan's big tech firms are shrinking (or pairing off), it's launched a humanoid robot, teamed up with Honda to make smarter cars and just bought out the company that designs the chips for most smartphones -- including the iPhone. But first, there's Pepper. Years after Sony's Aibo robot faded into obscurity and Honda's Asimo walked, waved -- and not much else -- the idea of a personable home robot was replaced with faceless automated vacuum cleaners. Then SoftBank, with no history of robots, announced a large humanoid robot that would come to its phone shops -- and even homes. Early adopters and companies alike seemed to love it. Despite Pepper costing more than a high-end laptop, the first waves of the four-foot robot sold out in minutes. Japanese banks and companies like Nescafe and Pizza Hut all claimed one to help project their images of a futuristic company hiring android help. 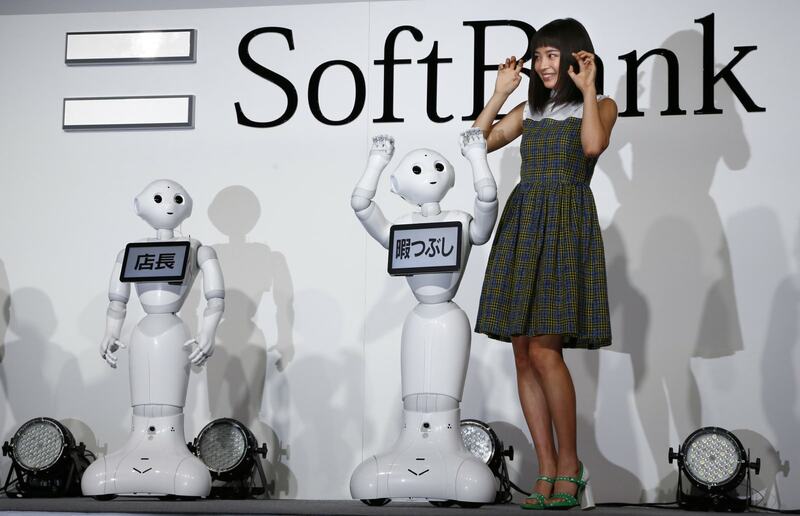 Pepper is far from perfect, but SoftBank managed to reinvigorate the robot dream in a country whose love for robots has never faltered -- as well as inspiring a new generation of rivals. It's an effort to restart the robot revolution. It's still not the bot of our dreams, but it's exciting, OK? Last month SoftBank announced it's buying ARM, the UK company responsible for the reference processor designs found in nearly all smartphones. Processors designed by the firm also power a lot of lightweight VR headsets, wearables and and myriad Internet of Things devices. It's a powerful move for the company: Softbank is buying a major part of the tech supply chain, one that even Apple depends on for chip blueprints that it further develops. While Internet of Things is taking its time becoming a true revolution, SoftBank is well-placed to profit from it when it does. 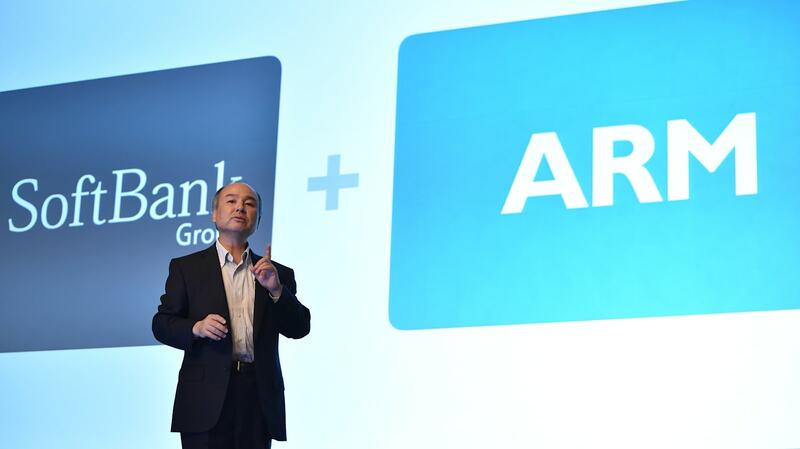 "ARM will be an excellent strategic fit within the SoftBank group as we invest to capture the very significant opportunities provided by the 'Internet of Things,"' CEO Masayoshi Son said in a statement about the purchase. "This is one of the most important acquisitions we have ever made." In the same week as said "most important acquisition ever," Son took to the stage with Honda's CEO to announce a partnership aimed at developing cars that drivers can speak and interact with, channeling the same cloud-based processes found inside Pepper the robot. Details aren't all that specific, but the companies say they're looking into combining the technology so that cars could speak and interact with the driver, assess the driver's emotions through vehicle sensors and cameras and offer support during long trips or while trying to park. Perhaps even weirder: Honda and Softbank hope that by letting mobility products "grow up" while sharing various experiences with the owner, the user will form a stronger emotional attachment with the car. SoftBank talked a similar game before it launched Pepper, although we're still waiting for a true reaction to our illogical human emotions. Softbank isn't new to Japan's tech scene. Founded back in 1981, it's changed and adapted what it sells and deals in. CEO Son started the company specializing as a software distributor and soon launched PC magazines at the start of the personal computing boom -- a lucrative time to do so. The company is also used to taking risks. After struggling for years to enter Japan's carrier market, SoftBank acquired Vodafone Japan in 2006, and in 2008 it was the first (and only) phone operator in the country to offer the iPhone 3G -- an exclusive it kept until 2011. Being the exclusive carrier for the iPhone sounds like common sense, but at the time it was surprisingly risky. Japan is the country of the "Galapagos" phones: flip-phones that had high-resolution cameras, TV tuners, GPS and music downloads for years before the iPhone arrived on the scene. Apple's (innovative but still new) PC-style Safari browser didn't work with Japan's already well-established mobile sites, and there weren't even any emoji (gasp!). Phones with embedded NFC chips for contactless payments had already existed in Japan since 2004. 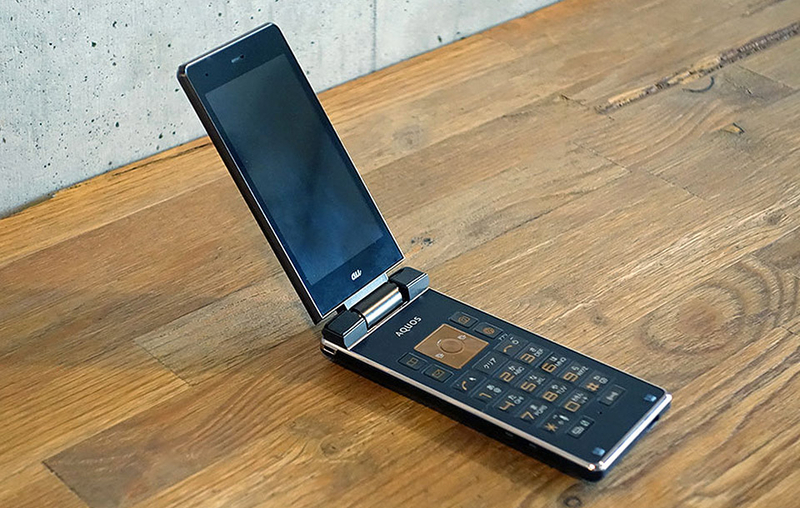 To many Japanese phone users, it didn't look quite as revolutionary as the rest of the world saw it. History explained the rest: The iPhone was a huge success and helped SoftBank as a carrier gain a foothold in the Japan's competitive phone market. Softbank's long-running series of hugely popular TV ads ensure that everyone in Japan knows the company. The ads are weird, confident, funny -- and now all the other native phone carriers are trying to copy the same magic for their own advertisements. Softbank-owned Sprint even tried to repurpose them in the US -- even if it didn't work out so well. Softbank has so far struggled to turn around the American carrier, but it forms just one part of CEO Son's bid to make Softbank a truly global organization. The company, primarily focused on Japan, also owns a substantial 28 percent share of China's e-commerce giant Alibaba -- it's like Amazon, but way bigger. And of course, it now owns the UK-based ARM. The gambles are paying off: SoftBank announced it increased profits 19 percent last quarter. And while the most recent moves may seem hugely disconnected, combining its moves into artificial intelligence (Pepper, autonomous cars) with ownership of ARM (and the chips it designs) Softbank could eventually be the company that truly makes internet of things a ... thing.